Many clients have a notion that they can simply get the website that they desire, when they hire a web designer for this task. They simply place all the responsibilities and expectations on the web designer without giving them much information about what they want in a website and what kind of website they are searching for. But, sometimes the client fails to understand that web designers are just a normal human being, even though they are part of a best web design company. They need to understand that they have to be part of the web designing process by giving information about what they want in their website and being in constant contact with the web designer. Here are simple ways in which the clients can play an important role in web designing. The web designer will understand what the client wants better if they are shown some samples. The client can show some of the websites in the internet to give the designer some general information about what they are expecting the designer to make. Sometimes it might prove to be a bit difficult for the client to explain what kind of color schemes they want or what kind of patterns or design they want. So, it might be easy for the designer as well as the client to just see and show the website for correct guidance. Even the best of the best web development company cannot get all the contents about the client’s company on its own. No one understands what the content should be better than the client himself/ herself. So, the client should give information about their company, products or services that they sell and other facilities that they provide. 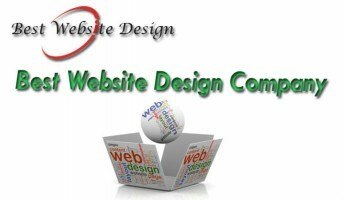 The web designer will then be able to write the contents as per the information. The client must provide all the images that they want to see in their website. If they want a certain images of a product or service to be placed in their website, then they will have to provide it to the web designer beforehand. The client must also make it clear whether they want a new logo to be created by the designer or they want the existing logo to be used. This should be made clear beforehand because later on these things might create problems. A best web design company always saps in information provided by the client and bring it to life. When things are clear between the designer and the client, then no problems will arise in the future and the website that has been designed will fulfill the client’s expectation and requirements.